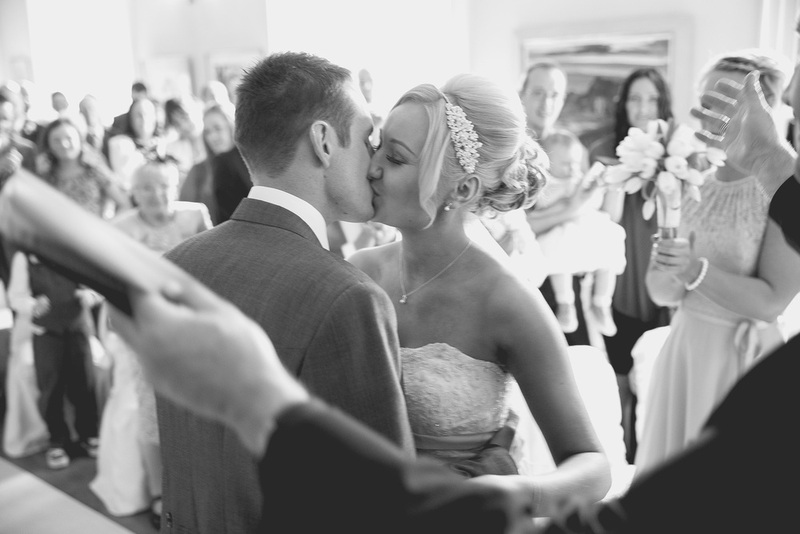 At Capture we believe that your wedding should be one of the most special days of your life. We understand the importance of having lasting memories once the day has been and gone. Our videos capture the true atmosphere of your day- from the joy of the ceremony, the emotion during the reception speeches, and onwards to the celebratory atmosphere of the evening reception. Choosing a video service for your special day can be a tough choice, so allow us to share our 3 main objectives when capturing those wedding memories and moments. The days of grainy, dark and generally poor quality wedding video are thankfully ending. We provide a high quality, modern service on every level. From professional audio/visual equipment used on the day, to our sharp and cinematic editing style, you can expect and will receive a professional contemporary wedding video service from us. We understand that your wedding day is a personal and usually private occasion, reserved for only family and close friends. For that reason we believe in professional discretion on the day. While we will always aim to get the very best, creative shots possible, we will not become a noticeable presence on the day. Some of the most emotive wedding footage we have ever caught have came from the smallest yet powerful of natural moments. From a fathers moving words about his only daughters wedding day to a tearful groom seeing his bride walk down the aisle toward him. We capture these moments so we can turn them into lasting memories that you can cherish forever. Select the perfect video package for your perfect day. We have 3 fantastic choices that range from the essential to the exquisite. No matter which package you choose, you can rest assured that we will provide the same professionalism and commitment to capturing your wedding day as beautifully as possible. All our packages come with a full length feature and a popular shortened highlight video. You can view our 3 packages by following the link below or use the navigation at the top of the page. We believe in a unique experience from start to finish, so after your wedding day has been and gone we will be in contact and allow you to choose the music to accompany your feature. Perfectly compliment your footage with songs that are truly personal to you. We believe that presentation is of the utmost importance. Therefore we present all our discs in luxury cases and covers. Even our USB drives come in beautiful bespoke cases. The still images you see throughout our website are from weddings we have filmed. You can find these wedding video highlights in our portfolio. The still photographs have been taken by professional photographer Steven Neeson. One of the countries top rated wedding photography specialists, Steven has won a number of awards including wedding photographer of the year. Check www.stevenneeson.co.uk for more information. "We watched our DVD at the weekend, its absolutely fantastic. You have done an amazing job with it, Eddie and I can't express how happy we are with the finished product. I'm so so pleased! Thanks again"
Thank you to Joanna & Eddie for choosing us to capture their wedding. A beautiful Marquee at home filled with close family & friends.